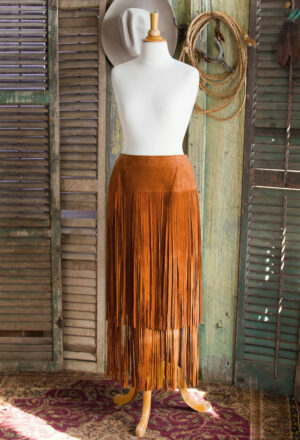 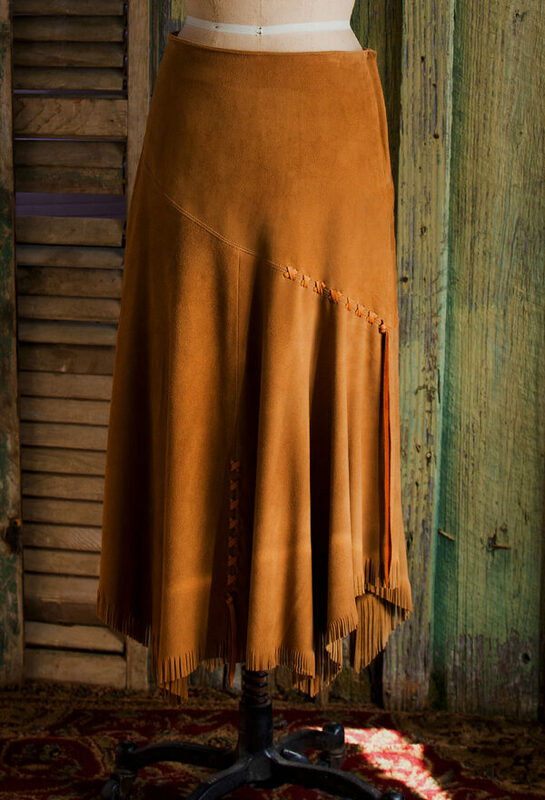 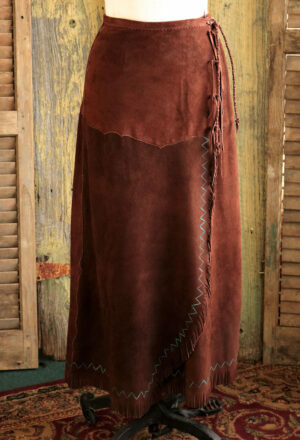 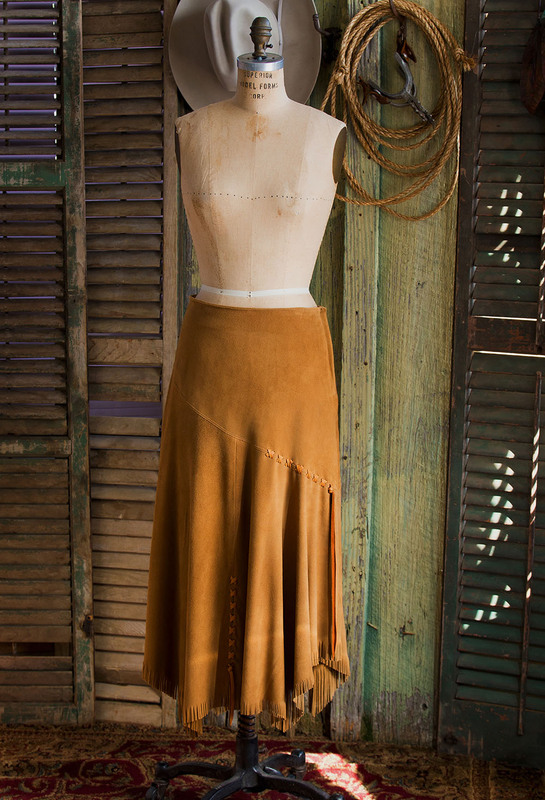 4 Point Skirt in buttery soft Chocolate Deer Suede flairs below the slanted yoke to a handkerchief, baby fringed, mid-calf length hemline. 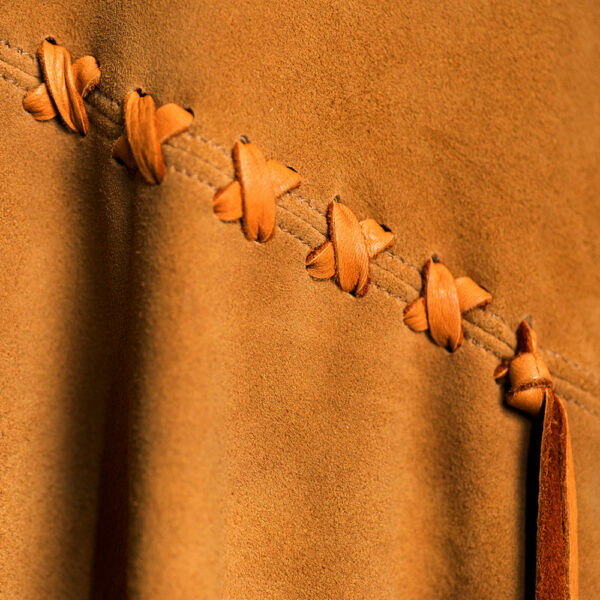 The yoke is x-laced to the flair with contrasting tan deerskin. 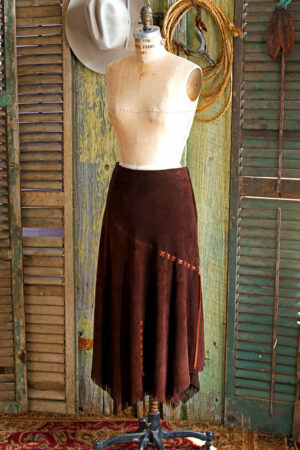 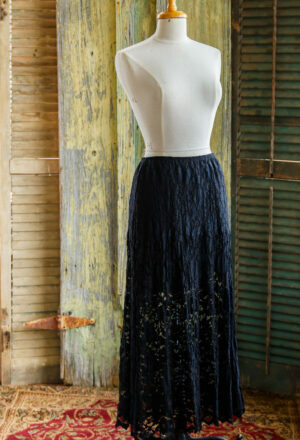 The skirt has a cocktail waist with side zipper closure.